All tanks must be below 2ml liquid capacity now. 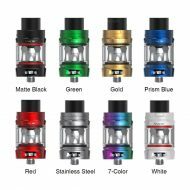 A clearomizer is a tank that houses your replaceable/disposable prebuilt atomizer, that is either made out of plastic or glass, with either a window, or a fully clear tank that you can see your liquid in. 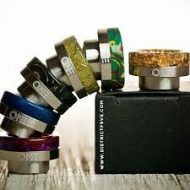 Some Atomizers have rebuildable option to make your own coils or use ready made stock coils. 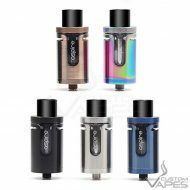 SMOK TFV Mini V2 Tank is a new member of the subohm tank family with a “V” carved on the top cap and base. 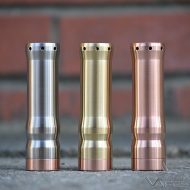 The TFV Mini V2 features 2ml e-liquid with easy top fill design. Creatively, V2 uses antibacterial medical cotton. 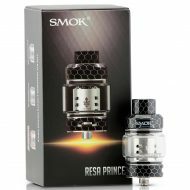 Make way for the Resa Prince, a sub-ohm tank which makes use of the newly designed Prince Q4, X6 and T10 coils. The T10 coils will emit a red light in the coil and also comes with 2 other variations; Green and Orange. 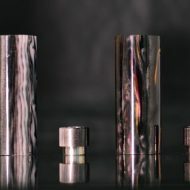 The Resa Prince will also include the Cobra Resin designed drip tip. Available in black only. 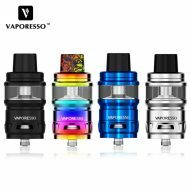 The Vaporesso Cascade Tank is a 2ml vape tank, perfect for sub ohm vaping. As you’d expect from Vaporesso this is a well-machined piece of hardware that is easy disassemble and clean. The Cascade Tank pioneers the new Isolation Tank Structure. This structure reduces the amount of dry hits and increases flavour intensity by ensuring the cotton in your coil is always wicked when your tank is full. The Cascade also features a redesigned atomiser; the GTM Cascade Vape Coil, which feature a plug-and-pull style fitting. This means meaning that when it finally is time to change them, the coils are easy to remove and install. Filling your tank is made simple thanks to the top fill cap which slides open, with a juice hole big enough to fit most nibs on juice bottles. To top it all off, there are a range of coil resistances allowing the user to vape up to 200w if they choose. 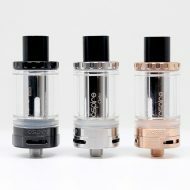 The Vaporesso Cascade Tank is innovative in its design and manufacturing and suits a high wattage setup. Since the introduction of the TFV series tank, Smok have kept trying to make a great top airflow tank, they’ve now succeeded, it is TFV8 X-Baby tank. The success comes from repeated improvements and tests, the TFV8 X-Baby tank works like the world famous babybeast tank, which brings massive clouds, rich flavor, and smooth airflow. What’s more, it has the classical swivel top cap design and sealed leak-proof atomizer base with top airflow. Aspire have now released a 3rd evolution of their popular tank, the Cleito Exo. Bringing you a redesigned TPD compliant 2ml tank with the new top-side airflow system to take vaping to the next level. Top fill, easy to disassemble for ultra low maintenance and convenience for everyday use. 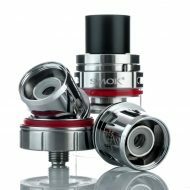 This tank utilises the well established Cleito coils which are also backwards compatible. The people’s favourite Cleito sub ohm tank is back with thicker glass and in a 2ml version complying with EU-TPD regulations. This version of the Aspire Cleito is identical to the original, the only difference being a thicker glass that reduces the liquid capacity to the new legal limit. The upside is it’s more resistant to knocks. The Cleito’s coil system allows for more flavour production from your chosen e-liquid, whilst also creating more vapour than the static chimney tanks can produce. 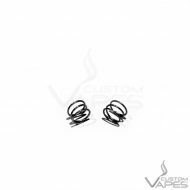 Coils for the Cleito feature a claptonised kanthal wire wicked with organic cotton. A minimum cross-section of airflow at 25.5mm allows for great airflow and big clouds for you to chuck in your vaping experience.